Schools, libraries, and museums are free to make and keep copies for in-house educational use or nonpermanent loan/circulation ... in gratitude for the fine education and research assistance I have always received from such institutions. An individual is free to make one personal copy of NW Europe 1944 for his/her own personal use. All other rights -- including publishing rights -- are reserved to me. B. My children Rebecca, Robert, Rohan, and Johanna, in the hope that they may never have to go through a world war. C. Field Marshal Erwin Rommel, who was my hero when I was in high school and going to West Point (for one semester). D. Frau Hoefler of Altenmittlau, Kreis Gelnhausen, who was so kind to me, letting me stay in her inn, and even trying to set me up with beautiful young Irmgard, when I was a GI on pass. 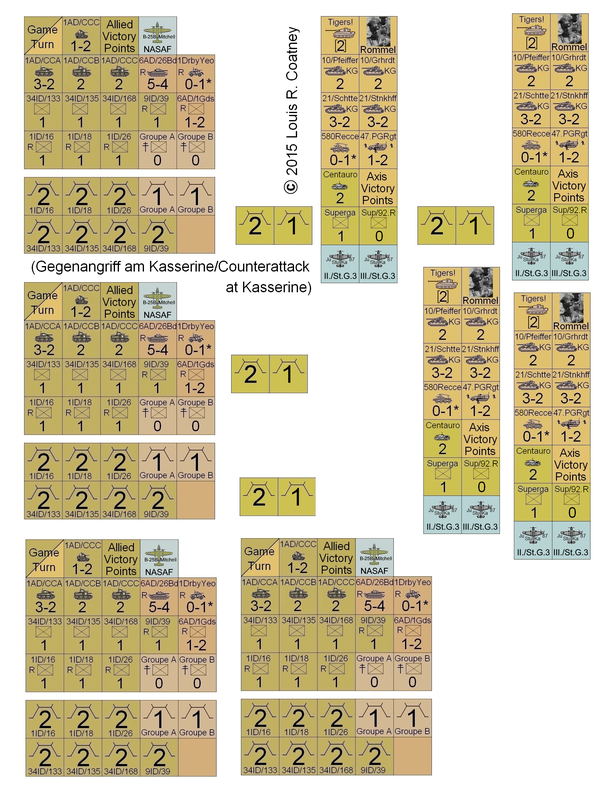 A Request: If you do assemble and play this free game of mine, PLEASE let me know at ELCOAT@hotmail.com what you think of it and whether, after more than a couple games, you think one side or the other has an advantage. Thanks! 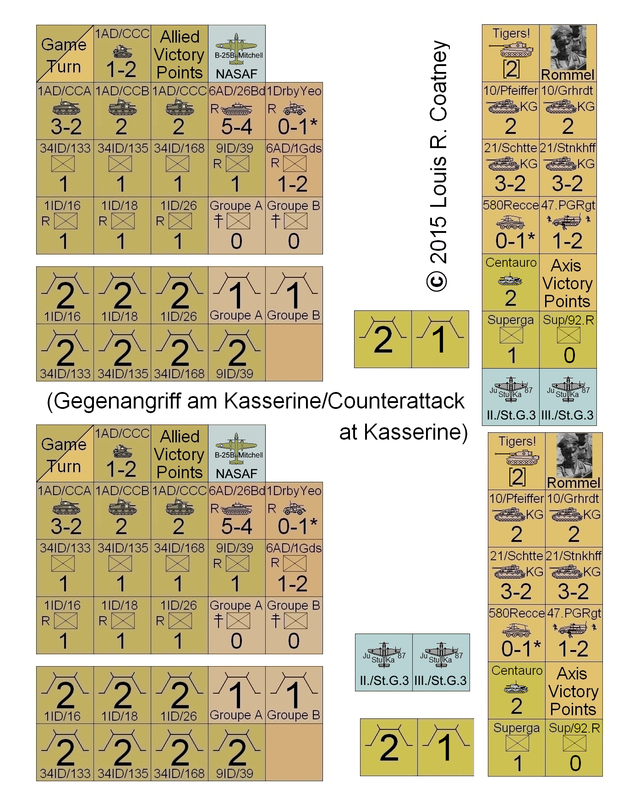 Here are the Gegenangriff am Kasserine (Counterattack at Kasserine) components, to print off and assemble so that it may be played. Players-students will also need a single six-sided die (or chits numbered 1-6, to be drawn out of a hat) for the randomized combat results tables. 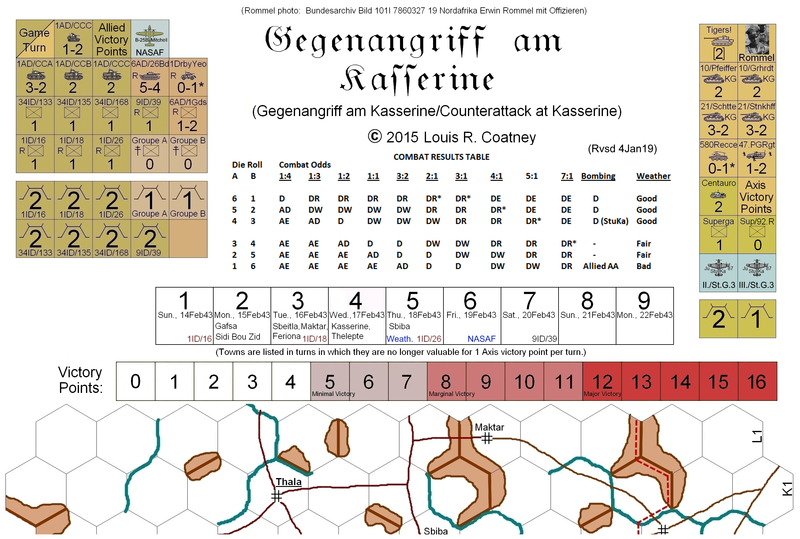 Gegenangriff am Kasserine map with units for game play. Revised 31Oct15. 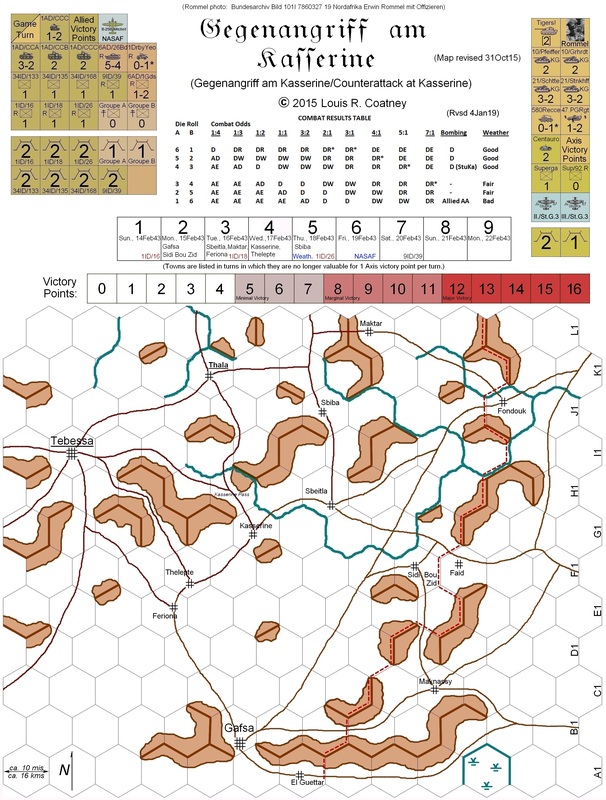 2 map sections large enough for large unit pieces to be printed on large European A3 size sheets. 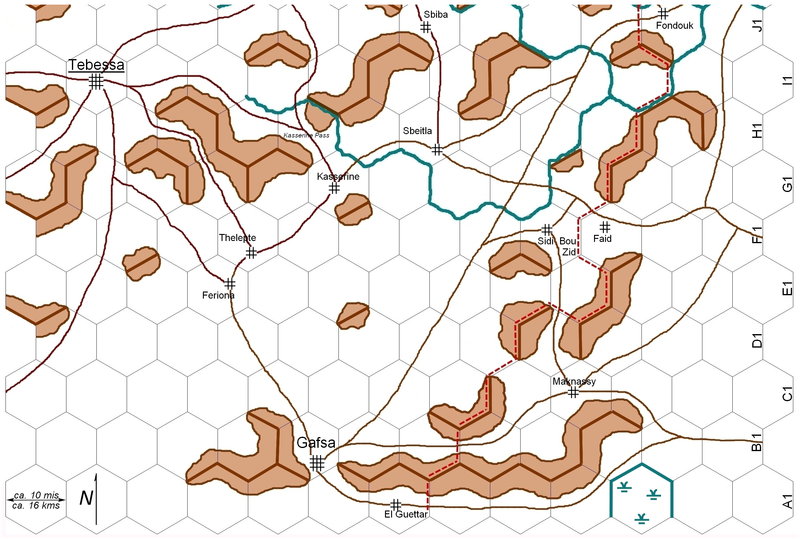 The south segment of the Gegenangriff am Kasserine map. The north segment of the Gegenangriff am Kasserine map.